Sci-Fi Dominates The Box Office Again! Nobody’s likely to mention it in this context, since science fiction is now a dirty word in Hollywood, but science fiction is exactly what Monsters vs. Aliens is. And whether they call it sci-fi or not, America clearly loves it. 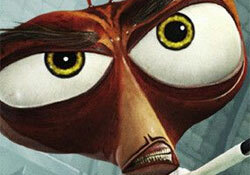 The animated comedy was #1 at the box office this past weekend, with big numbers. The film earned $58 million from Friday through Sunday, easily trouncing #2 horror movie The Haunting in Connecticut. Meanwhile last week’s top finishing science fiction movie Knowing held on to land in third place. In fact all of the year’s highest grossing films, with the exception of Paul Blart: Mall Cop have been flat out science fiction. So here’s my question: Science fiction seems to be what America wants. When are we allowed to stop hiding our heads, pretending it’s something else, and admit we’re a nation of geeks? Or are we all still afraid of being pantsed? 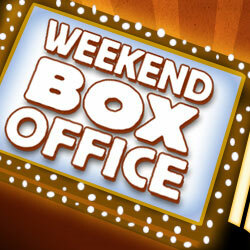 For detailed weekend box office results click over to our sister site Cinema Blend. Monsters vs. Aliens is the big movie opening next weekend and it looks like it’s going to be nothing short of fantastic, especially if you’re any kind of a golden age science fiction fan. It’s the latest animated film from DreamWorks, but it uses classic monster character types in a 3D battle against alien invaders.